I recently spent a few days in Canada, home to some of the nicest, most polite people — and one of the best national anthems — on earth. I’m obligated by patriotism to name The Star Spangled Banner as my favorite national song, but while Americans sing along softly to our anthem at sporting events and solemn ceremonies, we can’t match the enthusiasm and boisterousness of a bunch of Canucks fans belting out “O Canada” at a hockey game. Theirs is an anthem best served loud. I can’t speak for the whole world, but I promise you Toronto… If America is laughing, we are laughing WITH you, not at you. Yes, thanks to social media and reality TV our attention spans can be fairly short, but no one here has forgotten three-time D.C. Mayor Marion Barry (crack cocaine possession), New York Governor Eliot Spitzer (prostitution), South Carolina Governor Mark Sanford (“hiking the Appalachian Trail”), Illinois Governor Rod Blagojevich (racketeering, fraud and terrible hair), or U.S. Representative Mark Foley (explicit emails to a young male staffer). The cringe-worthy examples go on and on. Toronto, we feel your pain. While I see parallels with Barry and Blagojevich here – unabashed confidence in constituents’ support, and claims of being unfairly targeted by political opponents — others draw comparisons between Mayor Ford and Anthony Weiner. The big difference is that Weiner’s behavior reflected poorly on his character and judgement, but it wasn’t illegal. Just about everything Mayor Ford has been accused of (and admitted to) can get a person fired in any other arena – and in some cases can land him or her in prison. TODAY is American TV. Toronto is in Canada. Rob Ford’s constituents are Canadian, and have morning shows of their own that are covering this story aplenty. Exactly who was Matt Lauer trying to serve with the interview, and why was it one of TODAY’s top stories? I find Mayor Ford repulsive, but he would have scored points with me if he’d declined Lauer’s request for a sit-down, because Americans don’t vote in Toronto. I wonder whether Weiner, Blago and Spitzer – political figures in two of America’s largest northern cities – ever held as much fascination for Canadians as Mayor Ford holds for Americans. Did any of them appear on Canadian morning television? Were they the lead story on Canada’s national news, night after night? I doubt it, with the possible exception of Weiner. He raised (or did he lower?) the bar for eye-rolling political scandal. It was pure comedy gold. Anyway, Rob Ford and his brother appeared on TODAY, where the Mayor issued (as readers of this blog already know) my least favorite mea culpa: He never said he was perfect, so why can’t everyone just move on? Apparently, exoneration is all in the admitting. He also argued that going on a weekend bender – which he explained only happens some weekends, not every weekend – and potentially being incapacitated when faced with a city emergency, could happen to anyone at any time. Um, technically it probably could…but it doesn’t. 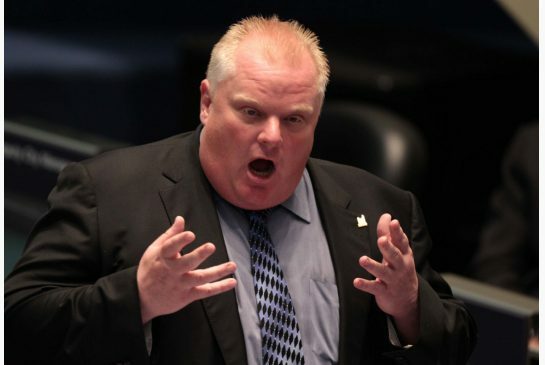 To his American audience, Mayor Ford positioned his issue as merely a weight problem, not a binge drinking, crack smoking, drunk driving, or sexual harassment problem. He boasted that he’s now training daily – a mental image that almost makes ME want to go on a bender — and in six months he’ll be a changed man because, “actions speak louder than words”. Seriously? Rob Ford had better hope not. The good news: a few nice pics from beautiful Vancouver.